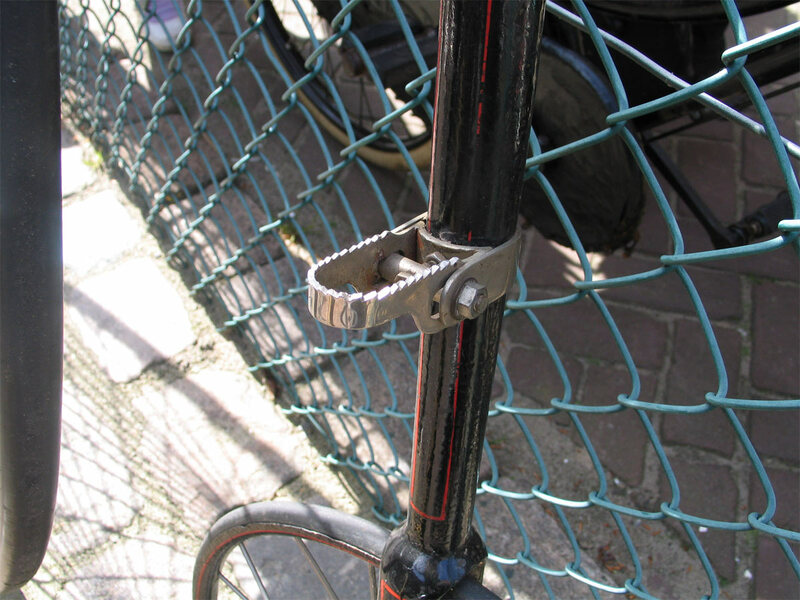 This DHF (Double Hollow Forks) was top of the line for eight years. 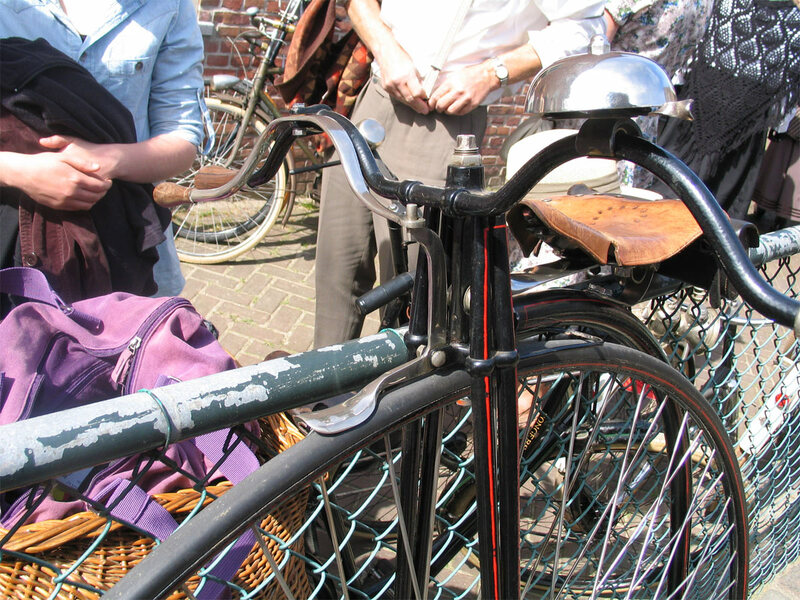 This bicycle has been restored. 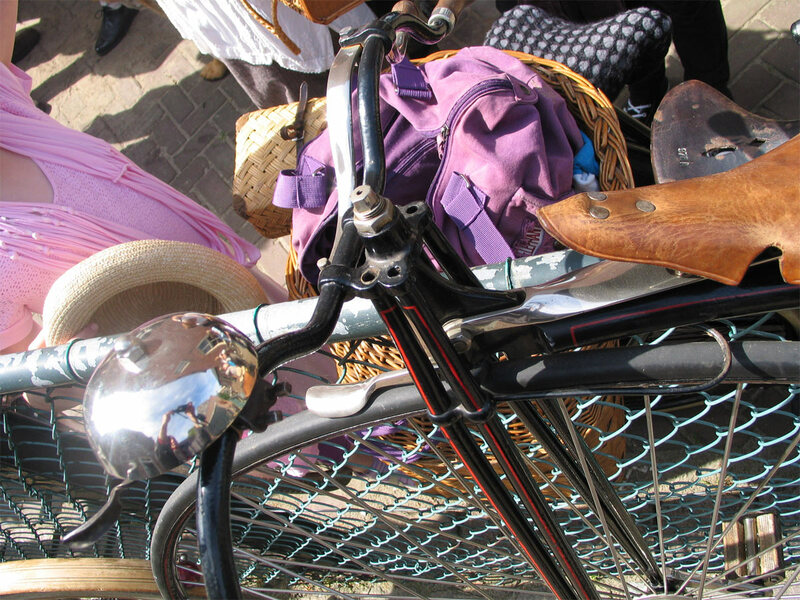 Saddle, spring (Humber model) and rear hub are not original, but the rest of the bike is. 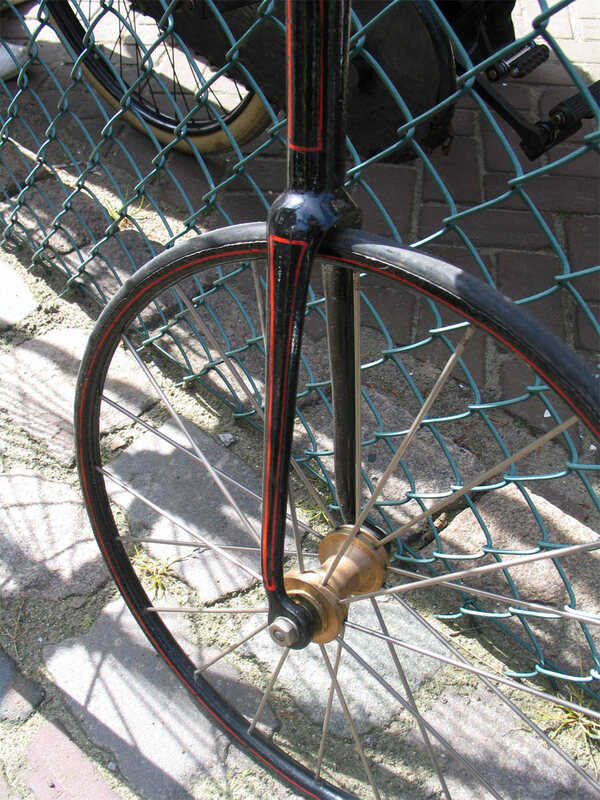 I suppose handlebars must have been straight or dropped, these 'cowhorn'-handlebars were not used before 1883-1884. 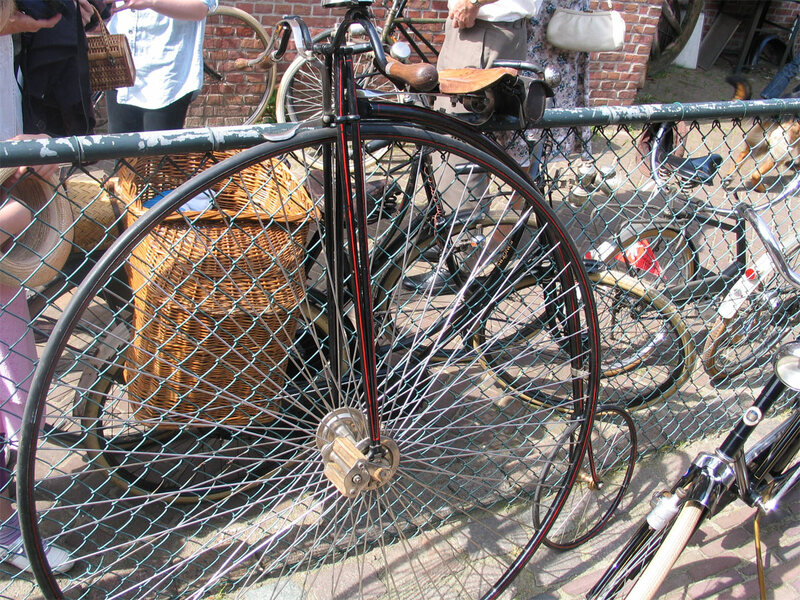 Serial number of this bicycle is 5242 and it is estimated 1880. It still has the open upper ends of the front fork tubes. Later models had these closed. 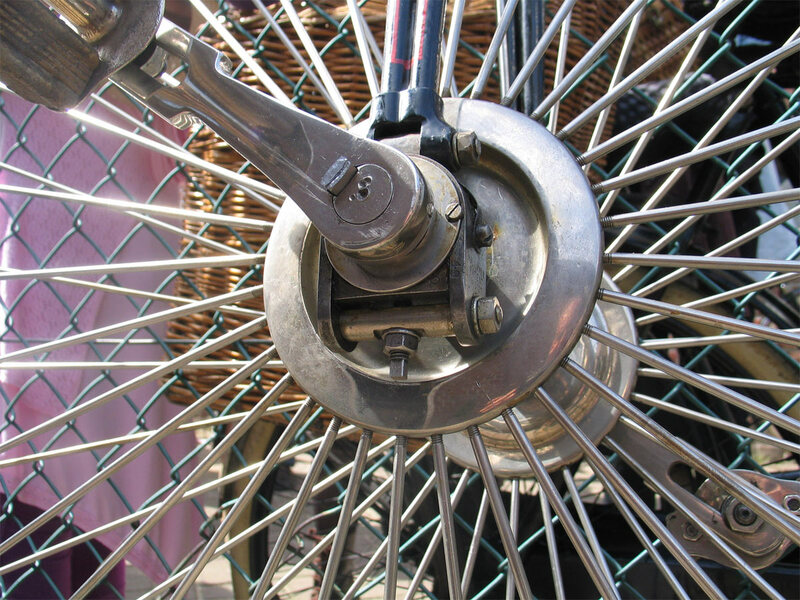 It also has the double ball bearings. 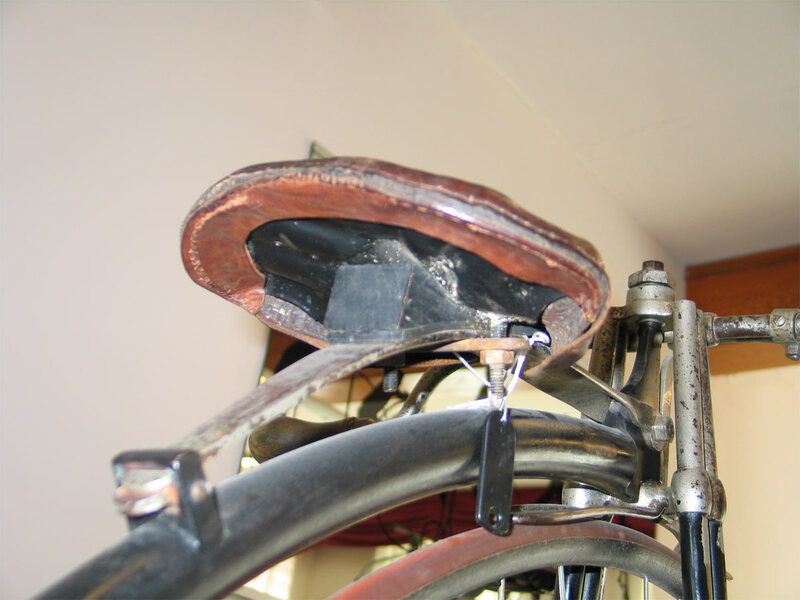 The last picture, taken in the Velorama museum, shows very well the centres steering in the nickled 'open head'. I made a chart of HHC / Premier serial numbers, click here.